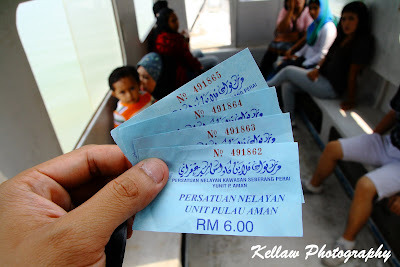 Went on a food trip all the way to Pulau Aman the last weekend..
To and fro journey from the Batu Kawan jetty is only RM6... A short but enjoyable trip if I may say. I found superboy!!! Seriously this kid had been staring at me with that facial expression for the entire journey. Arriving at the old Jetty in Pulau Aman. Fresh from the sea. The fishermans will drop their cargo into these little tanks and you just choose which one that you want..
Mantis prawn, I CHOOSE YOU!!!! This big bugger was caught swimming real fast running away from the net when I wanna haul him up... It's a little on the expensive side but I would say it's worth it. RM85/Kg.